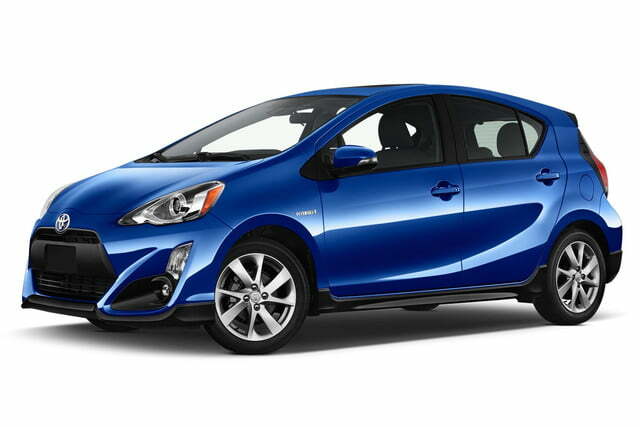 Toyota has updated the Prius c for the 2017 model year. 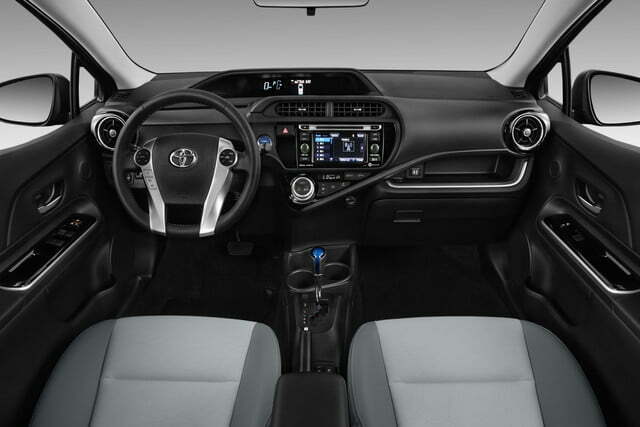 The company’s smallest and most affordable hybrid receives new safety features typically found on larger cars and subtle visual updates. 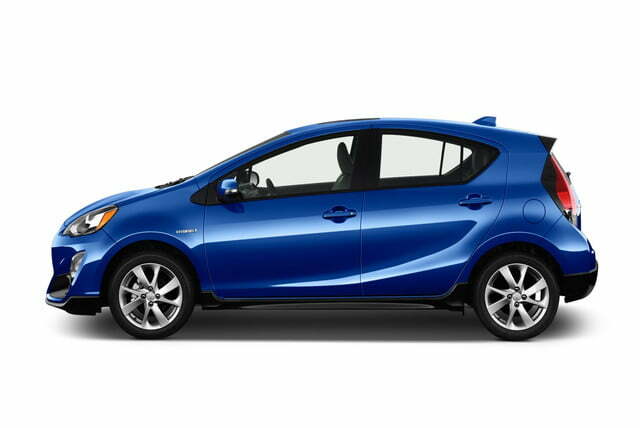 Every Prius c now comes standard with Toyota Safety Sense C (TSS-C), a suite of electronic driving aids that make the tiny hatchback safer for passengers and pedestrian alike. TSS-C includes a pre-collision system (PCS), lane departure alert (LDA), and automatic high beams (AHB). PCS uses a camera and a radar to scope out the road ahead. It automatically applies the brakes if it detects that a collision is imminent in order to mitigate or completely avoid the impact. The system is active from about seven to 85 mph. LDA is built around a camera that “reads” lane markings on the road. 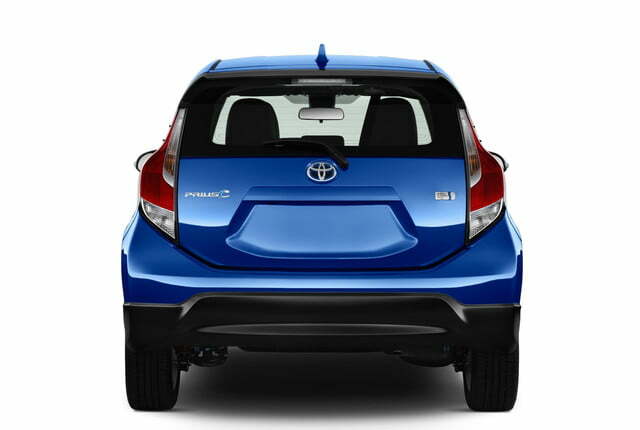 It emits visual and audible alerts if it detects that the vehicle is veering out of its lane. Notably, the system warns the driver but it doesn’t provide steering input. Finally, AHB detects light from oncoming cars and automatically switches between high and low beams. 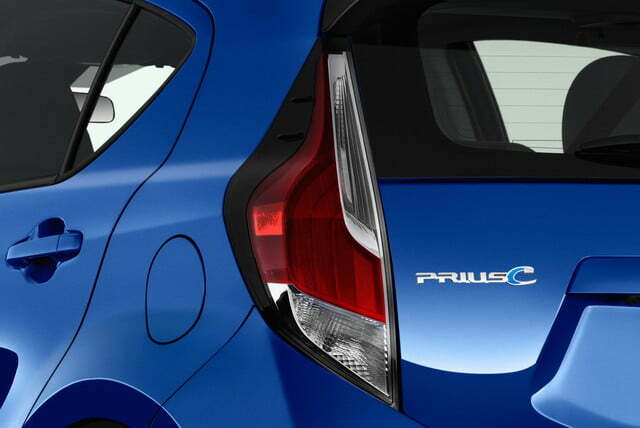 The newly-standard tech features are complemented by a handful of minor aesthetic revisions. 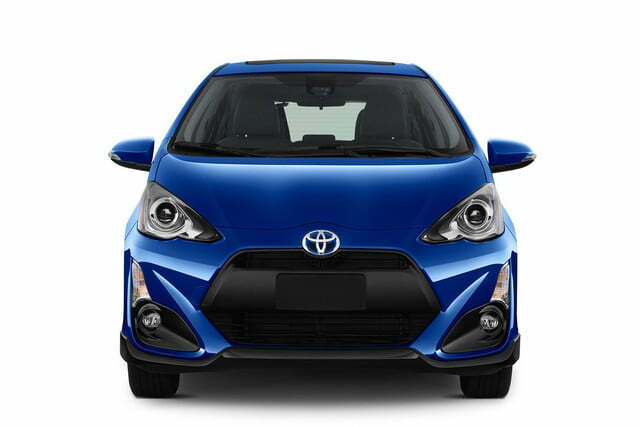 Eagle-eyed observers will notice the Prius c receives a redesigned front bumper with new fog light surrounds, revamped headlights, plastic trim over the rocker panels, a black roof-mounted spoiler, and a new rear bumper. 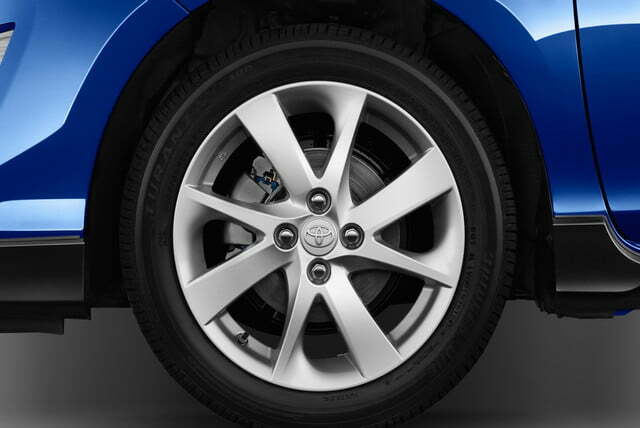 Finally, Toyota is making economy cars with missing hubcaps sight of the past, and all models now come standard with alloy wheels regardless of trim level. 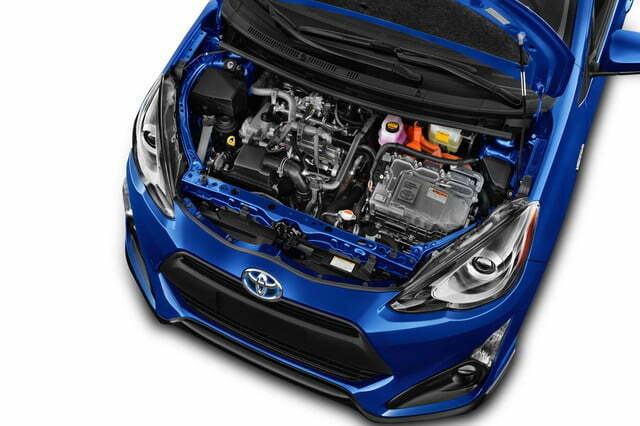 Toyota hasn’t made any mechanical modifications to the Prius c for 2017. It carries on with a gasoline-electric hybrid drivetrain made up of a 1.5-liter four-cylinder engine and a compact electric motor. The two power sources send 99 horsepower to the front wheels, and the c returns an impressive 50 mpg in a combined cycle. 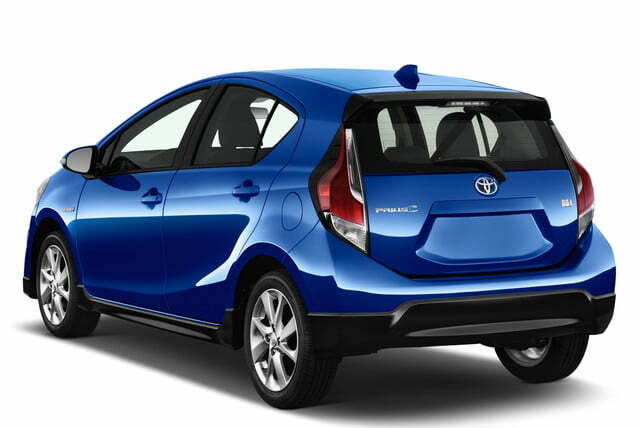 The 2017 Toyota Prius c will go on sale in the coming months. Pricing information hasn’t been released yet. You’ll likely see one on the road as soon as the model is available, because Best Buy has ordered 1,000 examples for its Geek Squad team.